The ASUS Zenfone Max Plus now has a retail price of only PHP 9,995. Features 5.7-inch 18:9 display, dual cameras, and a large 4,130 mAh battery. Good news! ASUS slashed 2k off the original price of the ZenFone Max Plus M1. Now priced at PHP 9,995, the #BatteryKing features a large 4,130 mAh battery and a 5.7-inch display. 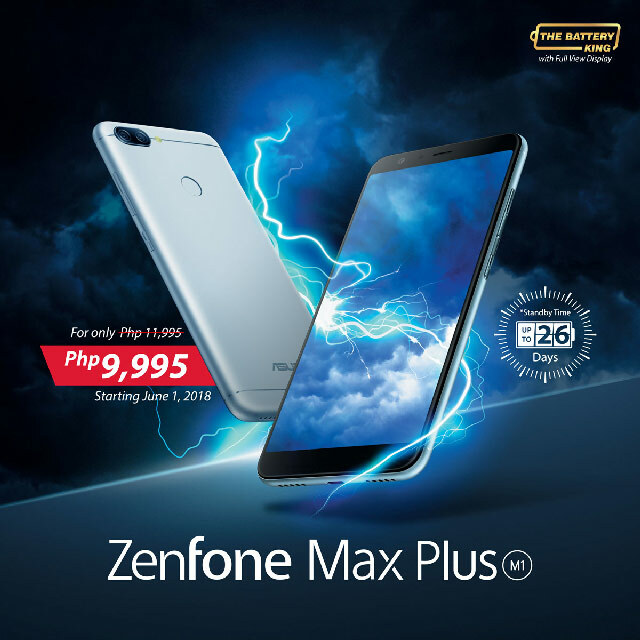 The discount was probably in anticipation of the incoming Zenfone Max Pro M1, which was announced earlier. Moreover, ASUS also announced its Like and Share promo contest. Just post and share the image above on social media and you could be one of the three lucky winners of a JBL T450 wired headset. Don’t forget to add the hashtag #WeLoveGoingFurther and #BatteryKing. The contest runs from June 1 to 15, 2018. In cased you missed it, the ASUS Zenfone Max Plus features a 5.7-inch full HD+ 18:9 display with an 80% screen-to-body ratio, and a metallic body. Inside, the #BatteryKing is powered by an octa-core MediaTek MT6750T processor paired with 4GB of RAM and 32GB of storage. In the imaging department, the Max Plus is equipped with dual 16MP + 8MP rear cameras, with the second shooter providing a wide angle view. The front camera has an 8MP sensor with f/2.o lens, beauty mode, and auto mode with HDR. The phone is also the first ZenFone to come with Face Unlock, a facial recognition security feature that compliments the rear mounted fingerprint sensor. 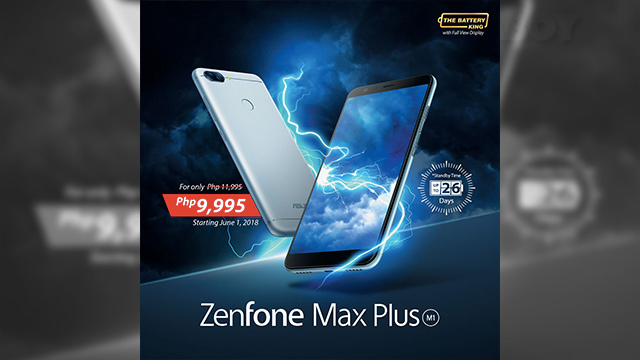 Originally priced at PHP 11,995, the ASUS Zenfone Max Plus now retails for only PHP 9,995.